Lewis Hamilton clinched his fourth world title in the Mexican Grand Prix. This you'll have got short odds on. I wouldn't however like to say what odds you'd have got on how we got there. But ultimately that he got there was all that matters. Whatever can be said about F1, and motorsport, it always carries a possibility that things can look very different in a blink. 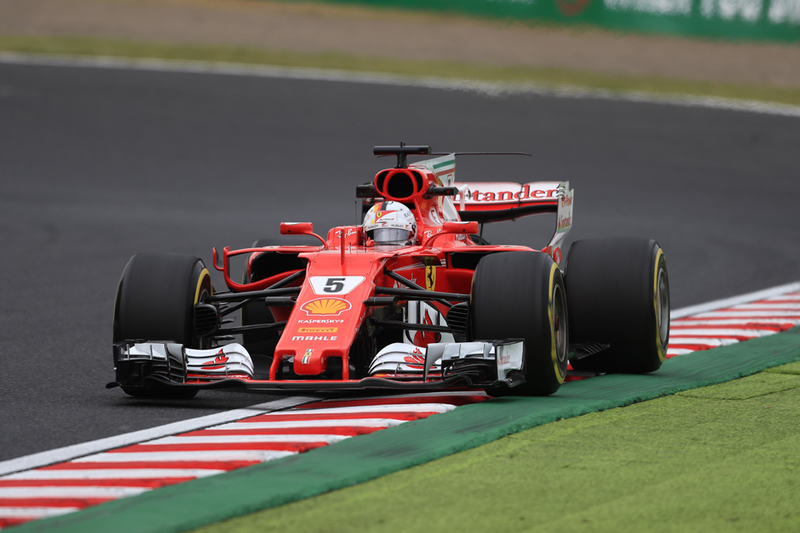 And it hardly gets more unrecognisable than after one lap of this race: championship protagonist one Sebastian Vettel was second last; championship protagonist two Lewis Hamilton last. 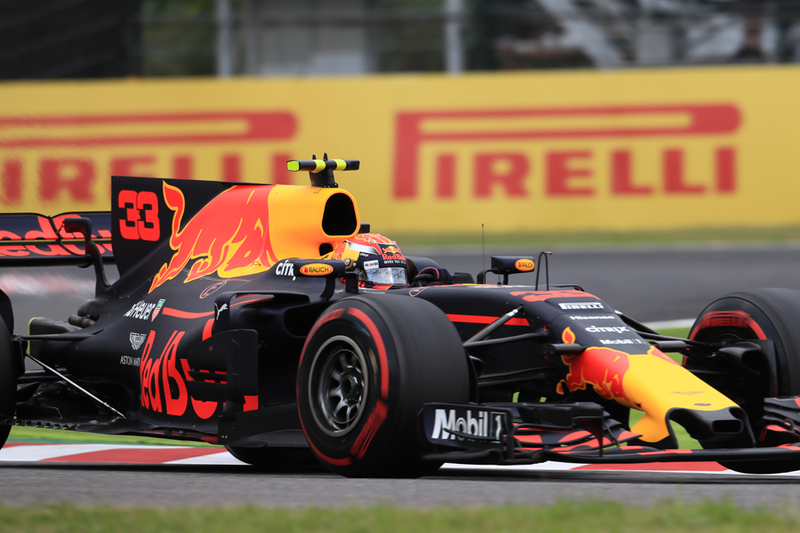 At the end of the long run to the opening complex they were side-by-side contesting the lead, joined by a certain Max Verstappen making them three-wide. Max as is his way channelled a perfect level of aggression to elbow his way to the front, and amid the uproar Seb's front wing made contact with Lewis's right rear tyre. Despite the odd internet conspiracy theory - Niki Lauda was critical of Seb too - it was hard to attribute too much blame. But whatever Lewis's tyre was punctured and Seb had to replace his wing. Thus we had the odd sight of the key pair touring gingerly into the pits at the end of lap one. Thus also the calculations were frantically re-done. 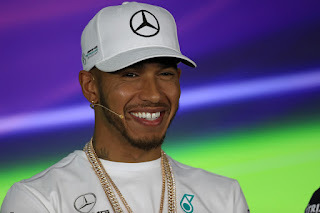 Lewis would claim the title so long as Seb didn't come through to second place, which didn't look likely with the time lost short of a safety car or plenty of help with attrition elsewhere. It never came, thus the fare was tense more than thrilling, waiting for something like this arriving. "I hated every minute of that," admitted Mercedes boss Toto Wolff. "It was bad, too long and everything." But the title was claimed. Max meanwhile stretched clear in the lead - and then kept stretching clear. By half distance his advantage over the next guy - the other Merc of Valtteri Bottas - was 10 seconds. Later Verstappen was told by his team to cover Bottas's lap times. "I'll just take it easy then," he replied, displaying appropriate chutzpah. But even when trying to go slowly he still built his lead - he even apologised sheepishly for it... 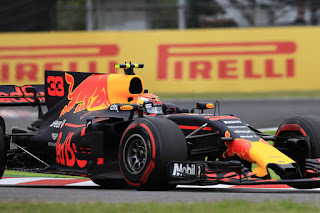 The only matter over first was whether he could last - a few Renault units elsewhere had gone pop earlier (including that of his team mate Daniel Ricciardo). But, mercifully, Max's held together. "It was cruising, it was great," said a pleased Max afterwards. "The start was very crucial, that worked out really well! "From there on I was basically looking after the tyres and the car which performed brilliantly in the race. "After last week this is a perfect race." Seb reemerged within distance of the cars ahead and made progress. Lewis's progress was snail's pace for a time though and it seemed the 'chin drop' Lewis was present, though in mitigation he was carrying diffuser damage. At one-third distance Max lapped him. Lewis didn't pass a car until not far off half distance. 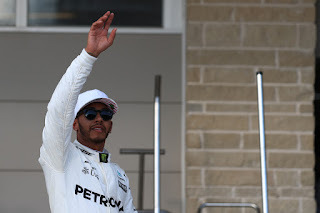 At roughly that point Lewis came alive though and the prospect grew that he could make Seb's algorithm even tougher by nabbing a few points himself. His engineer said he was on for P8. 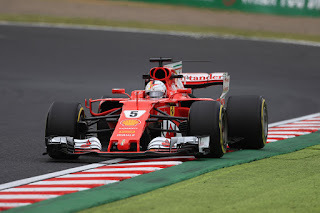 Seb by half distance was in the tail end of the points, but even so he was a minute off the P2 he needed, and half that off the fourth place which would be enough if one of the top two dropped out (as third-placed team mate Kimi Raikkonen could be cleared aside). But he got to fourth with tremendous zip - getting by Esteban Ocon with 14 tours remaining. Second was long gone though. On the same lap Lewis got into the points though, getting by an uncooperative Felipe Massa (who in effect did the distance on a single set of tyres after an early puncture). Later he got with an even less cooperative Fernando Alonso, who fancied taking the P8 for himself from Kevin Magnussen. The old foes had a frenzied battle, and Lewis got by with three laps left. Trouble is that while this was going the Dane had escaped far enough up the road to retain eighth. It mattered not though, as Max and Valtteri kept going and Seb couldn't get the place he needed to delay Lewis's title confirmation (Ferrari didn't bother with a Kimi switch either) - Bottas despite a tepid run therefore was vital to the deed being done today. While as his boss Wolff pointed out, it wasn't the best way to do it, but they don't care. Lauda indeed was typically blunt. "When you're world champion, you're world champion, it's very simple. Nobody cares how you do it," he stated. "It was a horrible way to do it!," Lewis conceded later however. "Forty seconds behind, it feels like you're in no-man's land. "I told you I wasn't going to go easy in turn 1," he added, "and I don't think I was too aggressive or anything like that. I left a lot of space for the car behind." By which he means Seb. "Still I rise, that's all I'm going to say. I kept going, I kept coming back. "I try to not leave any stone unturned, that's really the philosophy the whole team has had. "I had no idea what was going to happen in the championship, I was just thinking about getting further up. And this is such a difficult if not the worst track to follow, so trying to get past people was a disaster!" Ocon impressed yet again and as is becoming a habit was the lead Force India - he got fifth. While Lance Stroll a lot like in Baku came alive on a crazy day and was rewarded with sixth, ahead of local hero Sergio Perez, who as noted was in his team mate's wake this time though tried to add some frolics with an extra stop for tyres late on. Magnussen, Hamilton and Alonso completed the scorers. Ultimately Niki is right of course. It doesn't really matter how it's done, as the historical record will be unequivocal. Lewis's title total of four is bettered only by two drivers ever, and it puts him clear of all his countrymen. Plus this title wasn't only won today. And, despite today, it's probably his best one too. An even weirder conspiracy theory would be Hamilton lifting the foot so that Vettel crashed him. The advantage is always for the guy in front at the points table. The crash effectively decided the title for Hamilton, he could have been 11th. But no, it was another racing incident.